In 2015, Radha Krishna Records presented a culture showcase to launch Ananda Monet‘s ‘Inevitable Time’ album in collaboration with Samadhi Dance Company, a multi-award winning dance company from The Netherlands. By the end of the year, Vraja Sundari Keilman, Samadhi’s artistic director, developed a spell-binding live music and dance performance ‘Atma’ (Sanskrit for ‘self’) based entirely on the music from the ‘Inevitable Time’. ‘Atma’, based on the ‘Inevitable Time’, is a mesmerising journey into the epic Mahabharata. The dramatic story and timeless philosophical message is brought to life through powerful songs by Ananda and expressive choreography by Vraja Sundari Keilman. ‘2FOLD – Atma / Gopika shines in abstraction. 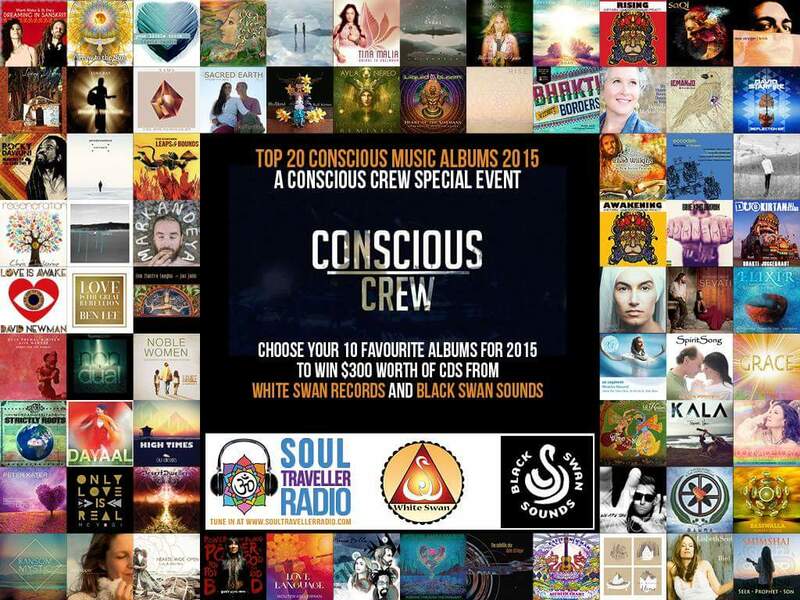 It was a nice surprise to find out on the first day of 2016 that the album has made it to the 16th place of the Top 20 Conscious Music Albums of 2015 presented by Soul Traveller Radio. The album was entered into the competition one day before the end and very quickly moved up the rank. Big thanks to all who help vote it in. ISKCON devotee-run company Radha-Krishna Records made Krishna consciousness accessible to a wider audience with its professionally-produced “Contemporary Krishna Culture Showcase” at the Camden Centre in Central London on May 28th. Around 400 people poured in to see the show, which ran from 7:00 to 10:00pm with an intermission at 8:30. A poll taken by MC Ravin Ganatra – a professional actor who has appeared in the UK TV shows Coronation Street and Casualty – revealed that about forty per cent of the audience had never been to a kirtan event before. Many were work colleagues, friends, or prenatal class acquaintances of the performers. The show was introduced with a traditional Vaishnava invocation by ISKCON London temple president Jai Nitai Das. Sung by lifetime Krishna devotee Ananda Monet, who released a pop album in her native Russia and is well-known in London’s kirtan scene, it’s a grandiose, cinematic piece on the ancient epic Mahabharat. The Sanskrit lyrics are taken from ISKCON Founder Srila Prabhupada’s editions of the Bhagavad-gita and Srimad-Bhagavatam. At the show, the story of the Mahabharat was presented in seven vignettes, beginning with Ananda Monet’s solo performance of “Tears of Destiny.” Monet’s powerful vocals soared over the backing track as she told the sad story of a young mother, Kunti, who is forced to say goodbye to her baby son Karna by placing him on the river in a basket. Next came “Draupadi – Born of Fire,” perhaps the most powerful and moving performance of the evening, in which the great Pandava queen beseeched Krishna to save her from being disrobed by the evil Kauravas. Accompanying this song and most of the others was dance by the Amsterdam-based Samadhi Dance Company – winners of the prestigious Dutch Dance Audience Award. With several second-generation devotee members, the company fuses Bharat Natyam, yoga, theater, jazz, urban and classical ballet to present Vaishnava culture. Company director Vraja Sundari Keilman portrayed Draupadi in “Born of Fire,” while Chaitanya Charan Das portrayed Lord Krishna. Next, in “Eternal Soul” all five members of Samadhi Dance conveyed the deeply comforting verses from the second chapter of Bhagavad-gita, describing the soul as imperishable and ever-existing. 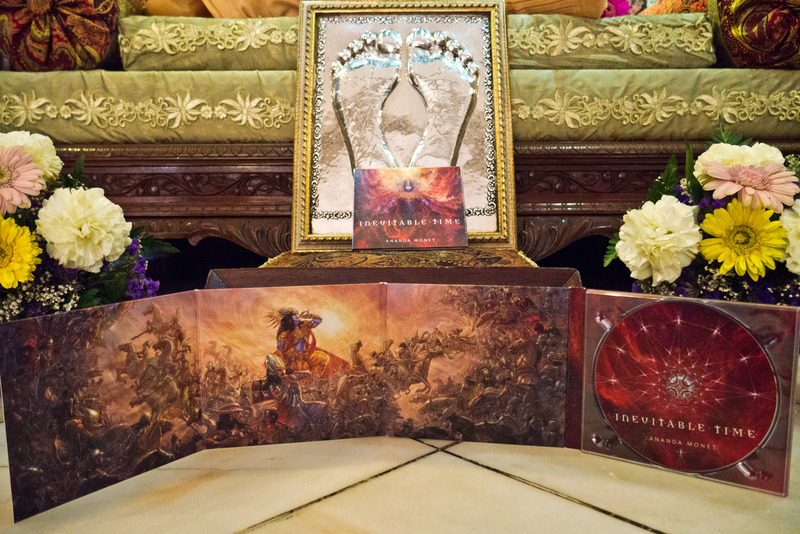 In “Universal Form,” Ananda sang solo while the dynamic cover art from her Inevitable Time album, showing Lord Krishna’s Vishwarupa form and painted by professional comic book artist Mukesh Singh, was projected behind her. This was followed by “Weapons,” about the evil Asvatthama releasing the devastating Brahmastra weapon. As Ananda sang, professional stuntmen Marki Kelly and Jay Varsani attacked each other with bows, staffs, swords and shields; and flipped, tumbled, and flew through the air in an impressively choreographed gymnastic tour-de-force. The full Samadhi Dance Company then again converged for the final two tracks – “Inevitable Time,” in which Kuru patriarch Bhismadeva prays to Lord Krishna from his deathbed; and “Infinite Moment,” in which Lord Krishna plays out a pastime of being accidentally shot by a hunter and leaving this world. Between each performance, narrations by Kripamoya Das gave the audience context by translating some of the lyrics, and explaining their meaning and philosophical concepts. Meanwhile, images of Jnananjana Das’s stunning original paintings from the Mahabharat Exhibition at the Museum of Sacred Art in Villa Vrindavana, Italy, were projected onto a screen. After the Inevitable Time presentation, MC Ravin Ganatra conducted an interview onstage with Ananda Monet and Vraja Sundari Keilman, who explained their intentions and vision. During the subsequent 20-minute intermission, audience members purchased dinner boxes from ISKCON London’s Govinda’s restaurant. Volunteers also served free laddhus, spring rolls, and lemonade. “It was very important to us to distribute some free prasadam (sanctified food offered to Krishna),” says Kapila. Next, in the second half of the program, renowned kirtan singer Jahnavi Harrison performed Govindam, Hari Haraye, Madhava, Vriksha Hare Krishna, and Like A River from her upcoming album Like A River to the Sea, due out on July 24th from Mantralogy. She was joined by both professional and devotee musicians including Ravi on kora, Shammi Pithia on flute, Asha McCarthy on cello, Jagat Pita Das on guitar and piano, Madhva Das on mridanga, and Keli Cancala Dasi performing Odissi dance. “It was transformative, amazing, and beautiful,” says Kapila. The audience responded similarly, using adjectives like “overwhelmed,” “amazed,” and “excited” to describe both parts of the show. Some equaled it to other professional shows they had seen recently. Other people beyond the Camden Centre also got to enjoy the show – it was filmed by a professional three-person camera crew and broadcast live on a pay-per-view stream via cleeng.com. “Next, we’re looking into the possibility of producing a professional show based on the ‘Inevitable Time’ album in Amsterdam with the Samadhi Dance Company, or in the UK with funding from the UK Arts Council,” says Kapila. Inevitable Time by Ananda Monet is available now at Amazon.com, iTunescom, Google Play, Youtube, and CD Baby. Like A River To The Sea by Jahnavi Harrison will be out on July 24th. A free download from the album is now available at iTunes.com. On May 28th the music from Inevitable Time came to life with the amazing performance of Samadhi Dance Company and Ananda Monet at the Krishna Culture Showcase at Camden Centre, London. The show was a success and we are still getting amazing feedback from the guests. The Samadhi Dance Company brings to life Inevitable Time with their distinct expression of beauty, excellence, and stand out professional contemporary dance. The vocabulary of the company is based on contemporary ballet, with strong influences of Bharata Natyam (traditional Indian dance), yoga, theatre, jazz/urban and classical ballet to create a wider range of movements. The contents of these productions are characterized by fusing knowledge of the ancient Vedas with Western art and dance techniques. The company is renowned for their collaborations with artists in other disciplines and their innovative fusion of various dance styles. The choice of music in particular has a major influence on the productions. Personally I find art a great way to transform negative emotions into something positive, a way to leave the past behind and freshly start something new. Listening to Ananda’s music and feeling the instant inspiration from it was surely one of the best moments in the preparation towards the show. The music is extremely powerful and its beautiful structure and details make an epic symphony. It was like Krishna was speaking through the music ‘Yes! You can!’ and as the choreographer the more I heard the music the more I enjoyed the details and depths and saw visuals concerning the dance and its energetic flow and emission. To process the fierceness of the music into the choreography was at times confronting for meand the dancers but once convinced and steady it was also very rewarding. When the dance merged with the Shakti and message of the music the whole team felt the energetic boost. Bhakti is soft but surely also has a very fierce and powerful side, just like the Mahabharata. Ananda’s album shares that with us, and experiencing this was certainly a memorable moment. We would be grateful if the audience can experience at least a fragment of the strength that lurks within this great source of inspiration. Also, in daily life we deal with the nuanced combination of fierce and fragile and live with a certain duality of determination and courage vs. vulnerability and surrendering; we somehow feel as if we are in between, it’s one or the other, black or white while but actually both exist at the same time and actually form completion together. This is knowledge brought to us through this legend of Arjuna and we, as spiritual beings in human form, should accept both that shadow and light within. Provided that the audience attends the evening with an open mind-set I am sure that at least one element of the entire show will inspire and touch the heart. Besides that we are dealing with individually big artists and souls that come together for this event all focused on bhakti yoga. The performance surely promises to be a very unique and special event and those fortunate enough to be part of this evening are certainly privileged! ‘The Samadhi Dance Company led by Vraja Sundari is a fresh contemporary dance company (Amsterdam/Baarn; the Netherlands) famous for their unique presentation of devotion in dance. Dance Audience Award (Danspublieksprijs) for best production and dance company of 2011. In early 2014 the company received two official nominations in the categories ‘Favorite Dancer of 2013’ and ‘Favorite Production 2013’ for the crossover dance performance ‘Tusta’. The company has over 30,000+ fans worldwide. Vraja Sundari Keilman (32, Netherlands) – Artistic manager, founder and dancer Samadhi Dance Company. Since graduating from the Amsterdam Theatreschool- Pre-Education in 2000, Vraja has kept herself fully engaged in performance, learning, and teaching. She has extensive professional qualification and experience. Her range is diverse and she has performed the work of Annabelle Lopez Ochoa, Nanine Linning and Sasha Steensk at the Scapino Ballet led by Ed Wubbe as well as performing in the work of, amongst others, Bruno Listopad (Korzo productions), Douglas Bateman (MD Kollectiv) and Ederson Rodrigues Xavier (Julidans). She has collaborated as a solist with composers Surajit Das (India), Stormvogel, Lovro Ravbar (Slovenia) and performed for Deepak Chopra, Le Grand Cru and many more. Vraja founded the Samadhi Dance Company in 2007 and has created a total of nine full length dance productions, all successfully received by press and audience. Sundari is awarded with the Dutch Dance Audience Award of 2011 for her production ‘Saranagati’ and received two official nominations for her production ‘Tusta’ in 2013. Besides performing Sundari is a beloved teacher at several renowned dance academies in the Netherlands and currently teaches over 250 students. Liam began in 1995 with martial arts and was awarded with several Dutch and European Championship titles. He performed as a breakdancer at the Dutch circus troupe ‘Elleboog’ (2001), and is part of the Dutch crossover dance company ISH since 2002. He has performed all around the world, including in the United States, Canada, Africa, Europe and Asia. Liam Joined the Samadhi Dance Company in late 2010 and performed in “Mohini” (2012), the nominated performance “Tusta” (2013) and is currently the leading role in “Hanuman” (2015). During 2013 O’Callaghan was also selected for the TV Program “So You Think You Can Dance” where he made it to the final 12. Jeffry graduated in 2008 from Marthas Institute for Performing Arts in Amsterdam. He has been a dancer with the Samadhi Dance Company since 2010 and performed in Samadhi’s ‘Saranágati’ (winner of the Dutch Dance Audience Award of 2011), ‘Mohini’ (2012), the nominated ‘Tusta’ (2013) and ‘Hanuman’ (2015). He has also performed in the musical ‘Tarzan’ and several productions of Isabelle Beernaert (Belgium). Laura was nominated in the category of ‘Favourite Dancer of 2014’ and is currently playing a leading role in Samadhi’s ‘Hanuman’. She graduated just last year from Codarts – Dance Department in Rotterdam but has already performed in contemporary dance works of among others: Janusz Skubaczkowski, Filip van Huffel & Diya Naidu in countries such as the Netherlands, South-Africa and India. Sweden, Denmark and Belgium. Chaitanya has performed in the Samadhi productions ‘Mohini’ (2012), the nominated production “Tusta” and currently portrays the role of Vishnu in Samadhi’s latest production ‘Hanuman’. He began as an actor at the age of 11 in the comedy group “Duo Simple’ in which he achieved third place in the” Parade of the Best “on the National Dutch broadcasting channel the TROS in 1988 and was titled ‘ Talent of the Month ‘in Tineke de Nooij’s talk show in 1993. He then worked as an actor and singer in several dramaworks by actor and playwright Peter Ohlenschlager from 1996 to 2012. In 2006 Chaitanya joined the band ‘Half-Minute Man ” as the lead singer and was awarded first prize in the national band competition known as ‘The Next Stage’ at the Melkweg in Amsterdam. Following this, Chris joins the band ‘King Size’ and the band ‘Isophone’ conducted by Merlin Verboom from which currently a track is being used for the advertisement of the famous Dutch brand Douwe Egberts. Gino joined the Samadhi Dance Company in 2014 and is currently touring with Samadhi’s international production ‘Hanuman’. 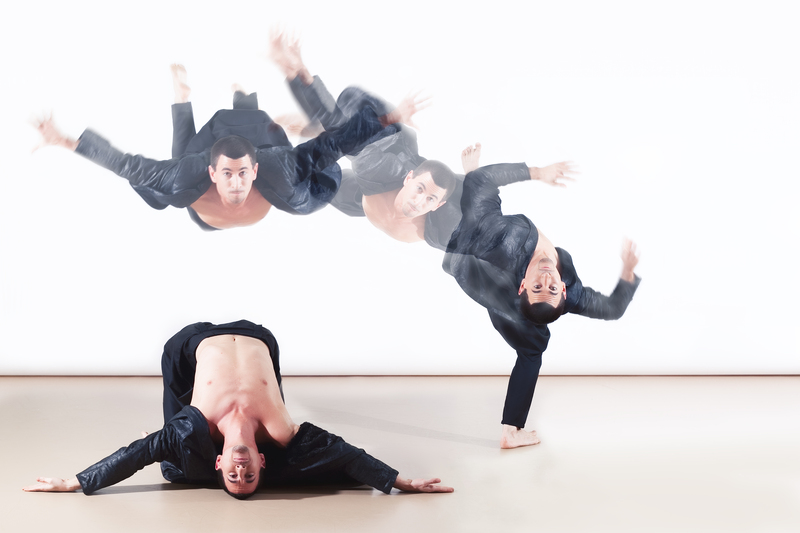 He is also the co-founder and member of the dance collective ‘Brotherhood’ in Amsterdam. Gino graduated in 2013 from the Art & Entertainment College in Amsterdam, had his internship in Paris at Institut de Formation Rick Odums (2012) and performed work of among others: Marga Douma-Alta, David Hutuely and the award-winning Isabelle Beernaert in Europe and China. We are delighted to announce that the album will be released on the 28th of May, and will be available for sale and download on our website as well as iTunes, Googe Play, Spotify and CD Baby. The launch will take place at the Contemporary Krishna Culture Showcase in London. We have distributed all of the pre-sold copies and digital downloads to those who contributed to our fundraising campaign, and have already received first inspiring reviews! We would love to hear from you too when you get your copy so please pre-order the CD here and leave your comments and reviews here. 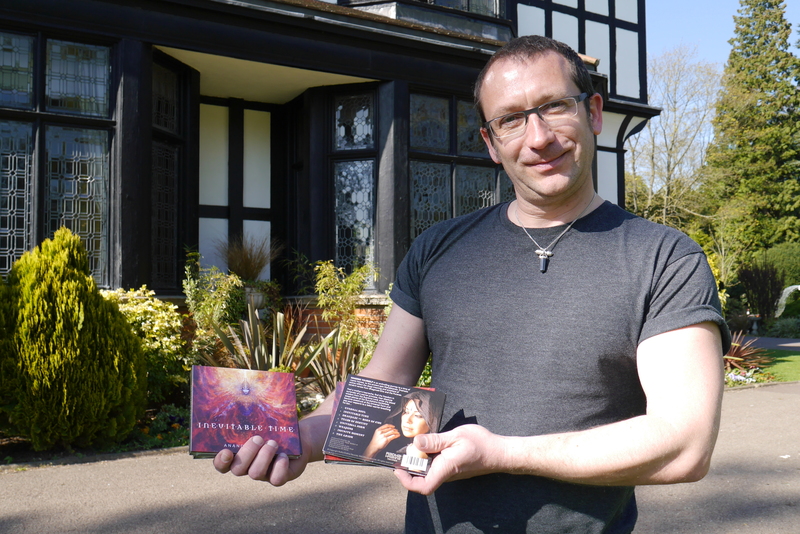 The CD were manufactured and delivered surprisingly fast. We were overjoyed and speechless to finally hold them in our hands. We offered them to the Lord at the temple and had a first listen in the sunshine. What a relief and joy! Sincere gratitude to everyone who supported this project in any way! Enter into another realm, and experience five-thousand-year-old Sanskrit mantras, sacred poetry and songs of devotion, brought to life with contemporary music, dance, martial arts and visuals. Hosted by Radha Krishna Records, the record company of the Radha Krishna Temple in London, and showcasing contemporary Krishna culture, the evening takes place on May 28th at the Camden Centre, near Kings Cross station. The showcase is presented by a host of musicians and dancers born and raised in the ‘Krishna culture’. Growing up in city temples and rural ashrams across Europe, these unique artists carry an inherent love for the philosophy, music and storytelling of ancient India, expressed with ease through contemporary mediums. ‘Krishna Culture’ informally refers to the path of bhakti yoga – the practise of loving service and devotion to God, as illuminated in the Bhagavad Gita. Bhakti yoga can be practised by persons from all walks of life – it is both ancient, yet accessible and seeks to answer universal questions. The first act ‘Inevitable Time’ is an enthralling, dynamic journey into India’s greatest epic Mahabharata. The dramatic story and timeless philosophical message is carried through powerful songs by Ananda Monet and expressive choreography by multi-award winning Samadhi Dance Company from Amsterdam. “The tracks we’ve heard cut straight to the soul,” states the kirtan newsletter, the Bhakti Beat. The second act ‘Like a River to the Sea’ by Jahnavi Harrison is an unforgettable experience of call and response kirtan, storytelling and sacred song. The live performance explores visuals and poetry from saints of the bhakti yoga tradition and diverse instrumentation, from the West African kora to the classical Indian cello.